Are you ready for the next basketball season? Are you in the process of designing new uniforms for your team? Refreshing your logo? Let me paint you a picture. Let’s say you’re part of the fundraising committee in charge of getting you basketball team a swanky new uniform for next season. Usually, you would go around to different print shops trying to figure out colors, styles and every little detail to have the perfect jersey. Well, with Placeit’s basketball jersey templates you can show your uniform provider and team how you want the new uniforms to look in real life. Now that you know how to create an original basketball logo using Placeit’s Basketball Logo Designer, I’ll show you how easy it is to create a realistic mockup of your design in real settings, with players wearing uniforms you can customize to match your team’s colors, as well as showcasing your brand new logo. They say that wearing the jersey is what gives teams unity and strength, so you want the best design possible for your players, right? Now, going to a print shop and getting the uniform printed before approval can be tricky and can set you back a few hundred dollars. Why not use one of Placeit’s custom basketball jersey templates to show your players or clients how the final design will look? Wait A Minute, Why Would I Use A Jersey Template? You can try it out on different color combinations, our templates are fully customizable to match your team’s colors. You can show your jersey sponsors how they will look in real life, once they’re printed out. You can hype up your players with the amazing new gear. So, Is Showing Off My Design The Only Thing I Can Do With These Mockups? No! You can do so much more like promoting your jersey with parents or school staff. Also, other supporters might want to wear their team pride and selling custom basketball jerseys is a great way to fundraise for your organization. Also, you can use Placeit’s apparel mockups to show your logo in other settings and sell some awesome merchandise for family, friends, and fans to support your team and cheer them all the way to the top! But, How Do I Make A Basketball Jersey Mockup? 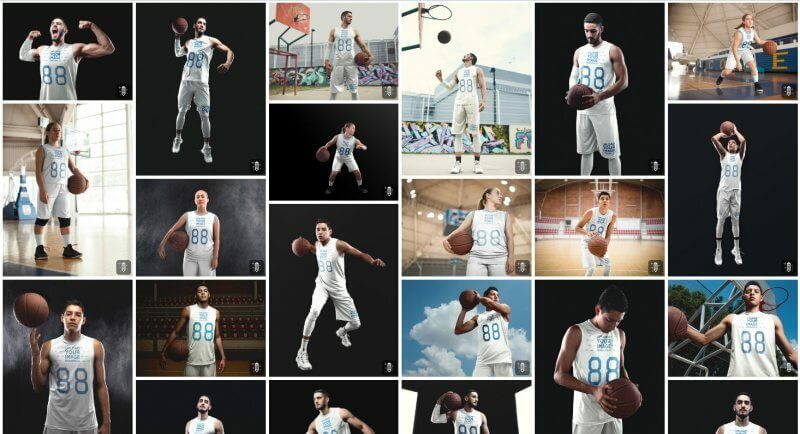 Select the basketball jersey maker you want, there’s a lot of them so make sure to scroll and look at them all. 2. Upload your logo. You can also change the number, its font and most importantly the color. 3. Next up, it’s time to choose the garment colors. Here you can choose your team’s colors, that way when you take it to the printers they will have a clear idea of how you want it to look. 4. Finally, you’re ready to use it! Click download and in a few seconds, your custom jersey template will be ready to use! What Will I Get When I Click Download? You will get a high definition 1440 x 1920 pixels png image file to be used as an advertising material or to be sent to your basketball uniform provider as an example of how you want the final product to look like. I know it sounds too simple to be true, but believe me, it is. Is There Any Other Way of Making Basketball Jersey Templates? Some custom jersey sites provide previews but usually, the pictures turn out flat and boring and this is not what you want from a picture that’s supposed to hype up your team! There are other ways of making basketball jersey mockups. If you know how to use Photoshop you could use PSDs, but finding good templates that don’t look cheap or basic is a hassle, and it’s a bit hard to make them look realistic. Also, they take a ton of time that you could be using training for the next big tournament! There Must Be A Catch, Is It Super Expensive? You don’t have to break the bank to make these awesome mockups. Each high-res download costs only $8 USD per image or for $29 USD you can get an Unlimited Monthly Plan to download as much as you want from Placeit. Hiring a designer is much more expensive and it can take up to a week to have your basketball uniform template ready to use. Why not try this jersey template maker to save money and time? Once you’re done designing your jerseys, check out the Ultimate Jersey Guide where you’ll find a directory of jersey printing sites to make your design come to life! Also, we made a Quick Guide to building great sponsorship packages. Learn how to build packages and read up on some handy tips to get that sponsorship your team has always wanted! Want to see a tutorial for making this amazing custom basketball jersey step by step? Here it is! It only takes minutes and you don’t need any Photoshop! 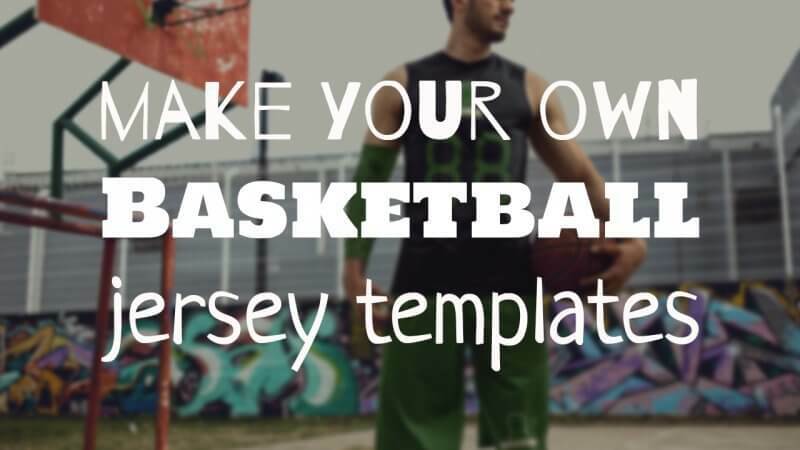 Visit Placeit to create a basketball jersey template to promote your team’s logo and colors! Now that you know how to use Placeit to customize basketball uniform templates, you can leverage our custom logo maker tool, or a custom jersey for other sport: baseball, football, soccer, volleyball, and many more. Without photoshop, there is no better way to improve the performance of your team's promotion campaigns! 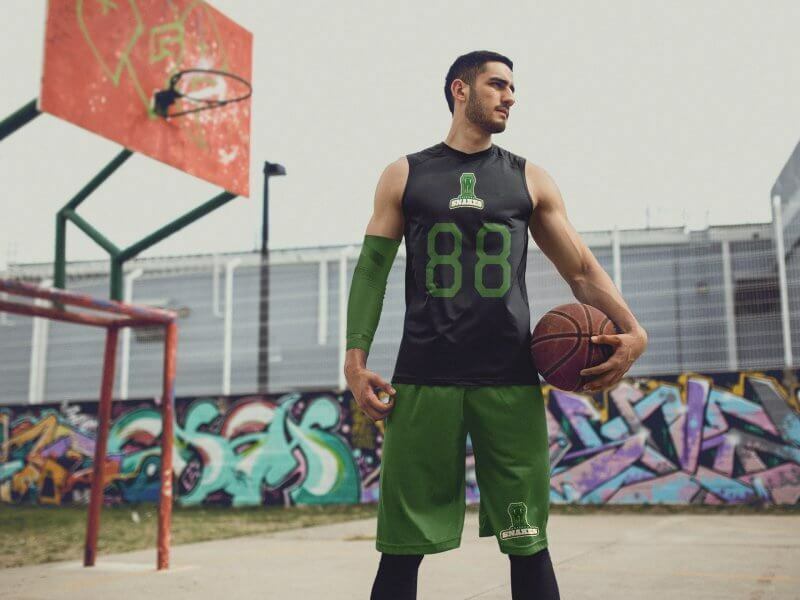 "Placeit's offer a beautiful customizable uniform to display my team colors and logo"